Looking for a smart but affordable smart controller for your garage door opener? 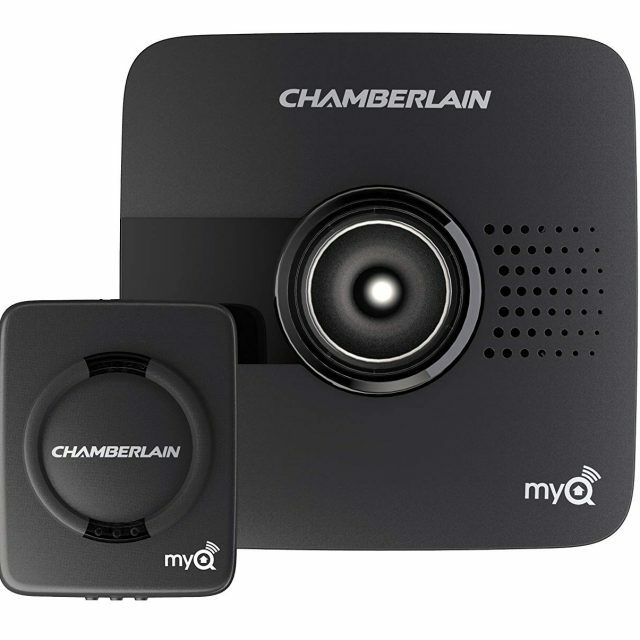 You will not find any smart garage door opener that fits that description better than the Chamberlain MyQ G0201. 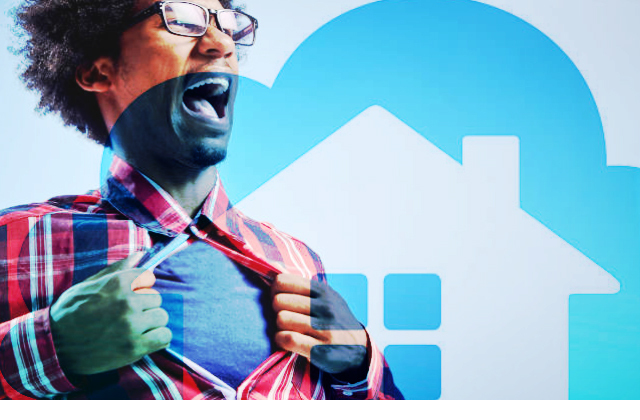 Home owners always strive to maintain a balance between having easy home access and control and adequate home security. Nowhere is that truer than with your garage door. With the increase in availability and use of home smart devices, home owners are seeking for ways to eliminate the stress of opening and closing garage doors while maintaining strict security. 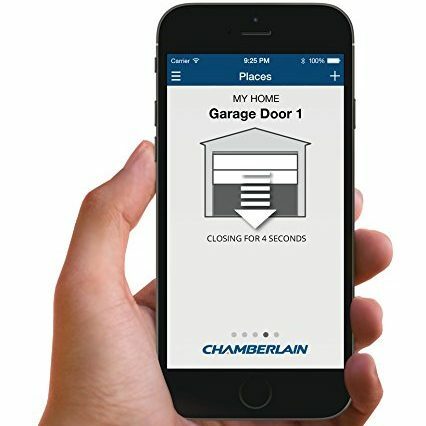 With the Chamberlain MyQ G0201 Smart Garage Door Opener, you can easily monitor, open and close your garage door from your smartphone with added security features and other home control benefits. The MyQ G0201 kit comes with a Wi-Fi hub, power supply and bracket for the Wi-Fi hub, door sensor, 1 Lithium metal battery and fastening strips for the sensor, screws for the door sensor and for the Wi-Fi hub, user guide and a Warning Placard. The device itself is available in black color, measures 4.4 x 4.4 by 1.28 inches and weighs approximately 1 pound. The Wi-Fi hub is powered by an AC adapter and the door sensor is powered by one Lithium battery (included with the kit) which can last up to three years. The Wi-Fi hub can control up to two garage doors although you with need a door sensor for the second garage door. The Chamberlain MyQ G0201 Garage Door Opener sells on Amazon for just under $50. Chamberlain has a wide variety of garage door openers in varying prices from the MyQ G0301 ($79.99) to the RJO20 ($436). The MyQ G0201 is a good and functional smart garage door opener at a very affordable price for any average person seeking to add smart control to their garage door. Installation: You can install the Chamberlain MyQ G0201 Smart Garage Door Opener and have it operational in under 15 minutes. You need a router with Wi-Fi features and fast internet service to use the device. You connect your smartphone to the device using Bluetooth or Wi-Fi. Once connected, you download the free MyQ App to your phone. Install the Wi-Fi hub in your garage at a location where the Wi-Fi signal is strong, preferably facing your existing garage door opener on the garage ceiling. Install the door sensor on your garage door and attach the Warning Placard on the Wall. Open the app, sign up for an account, complete the setup process and you are good to go. App Control: The app is available for Android and Apple devices (such as Android smartphones and tablets, iPod Touch, iPhone and iPad). With the app installed and configured, you can control (i.e. open and close) your garage door from anywhere in the world. You don’t have to drive back home to check if the garage door is closed or not. You check just check from the app on your phone and should it be open, you can lock it from the same app. From anywhere, you can open the garage door as needed such as for the delivery guy, the repair man or just for a family member who has lost or forgotten their key. The app also connects to and control your smart home lights. 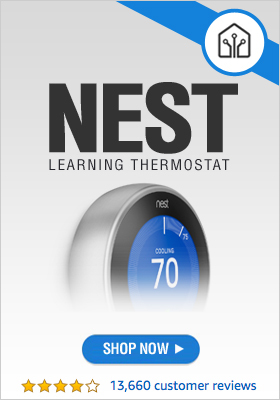 It connects with devices such as Chamberlain WSLCEV and PILCEV lights, Nest Cam, Nest Learning Thermostat and XFINITY Home. 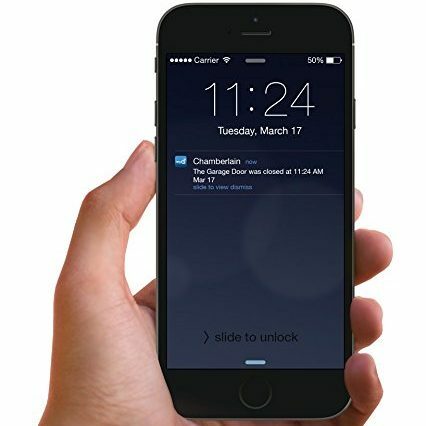 Alerts and Notifications: Each and any time your garage door is opened or closed, you receive an alert and notification on your smartphone. This is a bit tricky though because you have no way of seeing or knowing who actually opened the garage door. It could be your hubby who decided to come home early or Jimmy who decided to take his new bike out for a spin. Connectivity and Support Options: The MyQ G0201 has Bluetooth and Wi-Fi technology that allows it to connect to a wide range of devices. You may opt for Google Assistant, Homekit or IFTTT support but these services do not come free with the MyQ G0201. The Chamberlain MyQ G0201 Smart Garage Door Opener gets the job done in a simple and effective way and it comes at a very competitive price. It makes opening and closing your garage door easier and puts it fully under your control – no matter where you are and just by a few touches on your smartphone. •	Easy to install and configure. •	No fees to download or use the MyQ app. •	Requires no wired connection to your existing garage door opener. •	Broad connectivity to a wide range of home devices through Bluetooth and Wi-Fi. •	Wi-Fi hub can connect and operate up to TWO garage doors. •	Door sensor battery can last for up to 3 years. 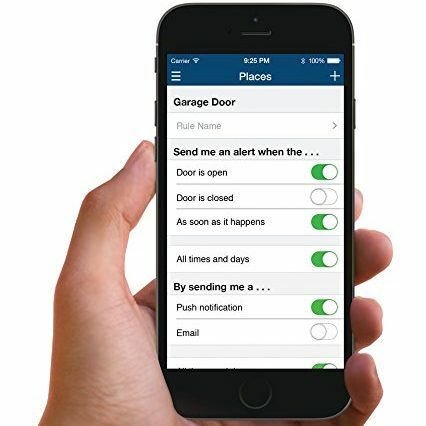 •	No automatic alert/notification when garage door is not locked. •	No intruder siren/alarm mechanism. •	No camera to take pictures or record video when intrusion triggered. Get Your Chamberlain Garage Door Opener Now! Get Your Chamberlain MyQ Garage Controls Your Garage Door Opener Now!